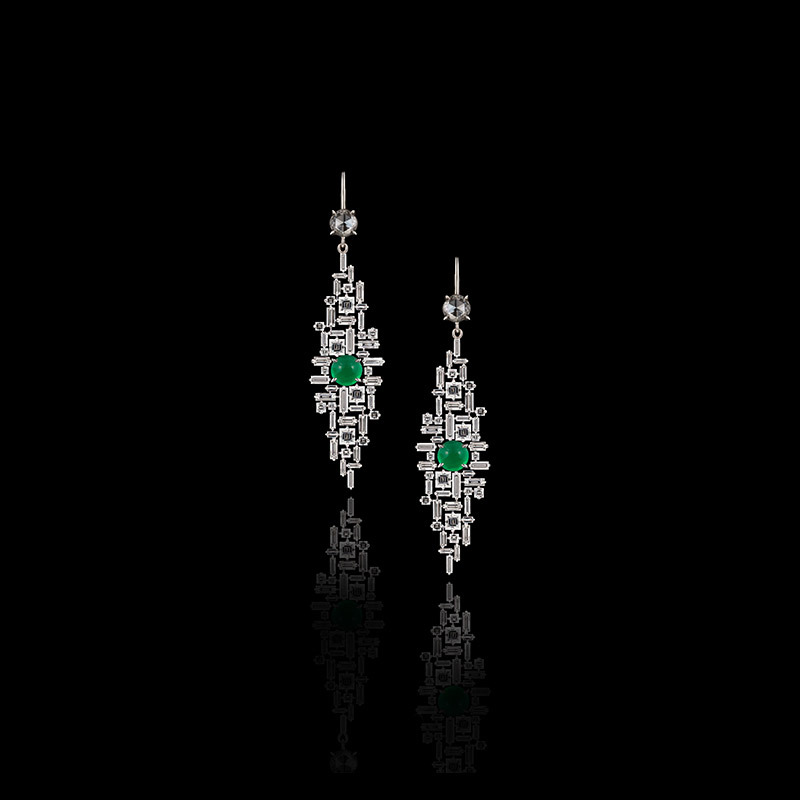 A Canturi signature pair of marquise shaped cubism baguette and carré cut diamond and emerald ear pendants, with articulated vintage rose cut diamonds created in 18ct white gold. Regina single link diamond and Australian black sapphire leather bracelet in 18ct white gold. Also available in 18ct pink or yellow gold.